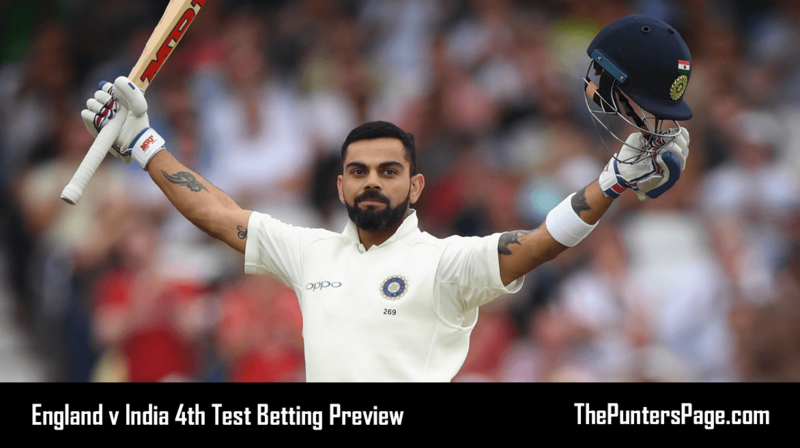 Cricket expert Neil Eyes (@nellbergcricket) analyses England’s 4th test against India at The Ageas Bowl, Southampton, which begins on Thursday and delivers us his best bets. 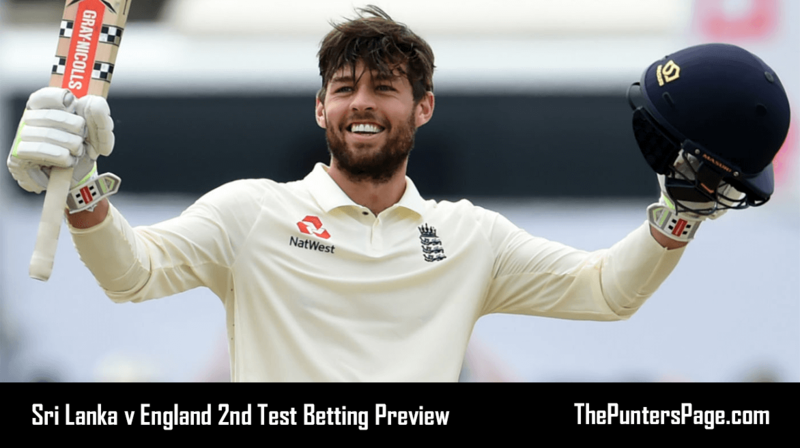 England’s tendancy to throw in a shocker of a performance came 1 game too late for our tip, but it has opened the series up nicely going into the 4th of 5 tests with England leading 2-1 and all results possible. 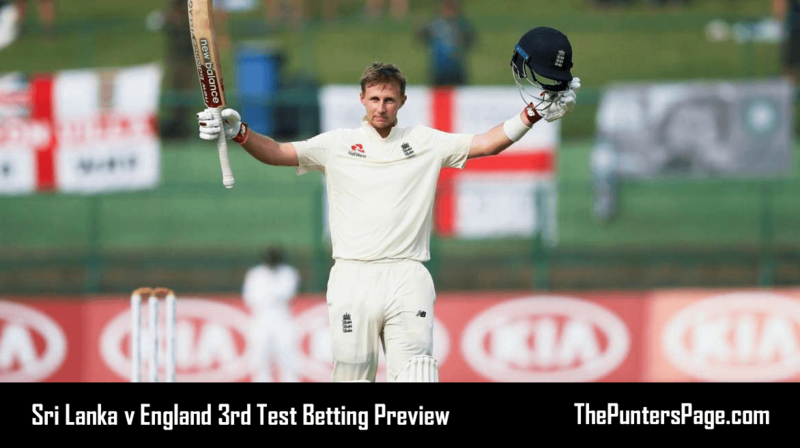 Prior to the 3rd test England were selecting from a position of strength, they ended up leaving out Sam Curran who’d been man of the match in the 1st test. Now, they appear to be in disarray. Bairstow has injured his finger and is a doubt to play (James Vince waits in the wings) and Stokes was unable to bowl in the T20 Blast quarter final, so it remains to be seen if he’s picked a s a specialist bat or if he can bowl (then his workload will have to be managed). Meanwhile, India could well be unchanged after their comfortable win last time out. That would a landmark in Virat Kolhi’s captaincy, he’s been in charge for 38 tests and has made at least 1 change to his side in all of them. I don’t want to get too carried away with current form with these 2 sides, I certainly think India haven’t cracked these conditions consistently just yet. Their top order can still be got at, but in Kolhi they have the best batsman in the game at the moment and their seam attack has stepped up. For England, they’ve been inconsistent for a good while now, and it’s got worse since the 2015 world cup where they felt enough was enough and have prioritized white ball over tests (in my opinion). They are still excellent front-runners when they get on top in a game so big first innings runs (who else other than Root looks like they will contribute though?) or a quality seam bowling display (more likely, with Anderson, Broad on occasion and Woakes a handful in these conditions) early in the game will erase a lot of doubts and everything might seem rosy again. Coming into the game England are 21/20, India are 9/5 and the draw is 19/4. We’ve seen nothing so far that suggests the draw is a player here, neither side have applied themselves consistently with the bat. High time I backed a winner! As mentioned, I have little or no faith in the majority of England’s top order. Cook has scored big runs twice in the last year with next to nothing in between, and Ishant looks to have the wood on him at the moment. Jennings was shown up last year by the Saffer seamers and it’s been more of the same here. Pope is very loose for test cricket, potentially a move down to 5 will see him in a better light but we’re still talking about a lad who bats 6 for Surrey. The potential is clearly there, but I couldn’t be backing him in the here and now. If Bairstow plays the finger injury will hamper him, and if not then it’s Vince coming in 3 against a confident seam attack. 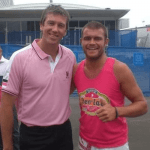 It could well be history repeating itself, runs in county cricket and then struggling in tests. His game (similar to Malan I think) is more suited to white ball cricket, where he has a good record for England. We’re chock full of white ball batting at the moment, so his only way in at the moment is in red ball cricket but so far he’s not looked to be patient enough. Stokes is an interesting one down the order, shielded from the new ball and potentially fully focussed on just his batting but a home 1st innings a 1st innings average at home (away from Lords, where he’s been very consistent) is 29. Buttler at 7 might have the keeping to worry about, and even after his top effort in the last game I’m still not convinced he’s as good in tests as he is in white ball cricket. That leaves Root. He might get to slide down to 4 if Vince plays, which he’d prefer. His lack of hundreds is often mentioned, but he has a very strong record of passing 50 and there aren’t any prolific century makers in this England side at the moment anyway. 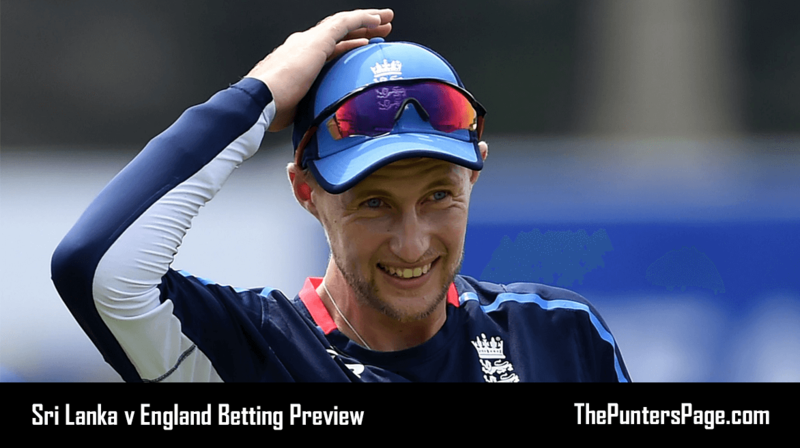 Root has seen his opposite number dominate with the bat this series, so he should be looking to make a statement there.At close to 3/1 (14/5 with Spreadex, 11/4 generally) he looks the standout in this side. Another 1 I like is Woakes in a bowler matchbet with Stokes. Stokes wasn’t allowed to bowl on Friday night in the T20, that was most likely precautionary but at the least his workload should be managed here, especially early on in the game. That gives Woakes the edge to begin with. Then onto the stats, at home in the 1st inning Woakes averages 2.5 wickets an innings, Stokes just 1.33. Even taking out Woakes’ love of Lords he still averages 2.18 wickets in the 1st innings of his other 11 home tests, so he looks to be a bigger threat than Stokes, who comes into the game in the 2nd innings when the ball is reversing. Hills have Woakes as 4/6 fav, he looks pretty solid for this match-up.